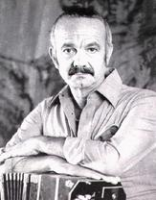 Argentine composer Ástor Piazzolla (March 11, 1921 in Mar del Plata - July 4, 1992 in Buenos Aires) is widely considered the most important tango composer of the latter Twentieth Century. In addition to his work as a bandoneon player, his compositions revolutionized the traditional tango with a modern style, incorporating elements from jazz and classical music in a style termed nuevo tango. He is known in his native land of Argentina as "El Gran Ástor" ("The Great Astor"). Bach, Johann Sebastian Baden-Powell, Robert Badent, D.
40 for 40 Tracks Years: Delos' 40th Anniversary Celebration!